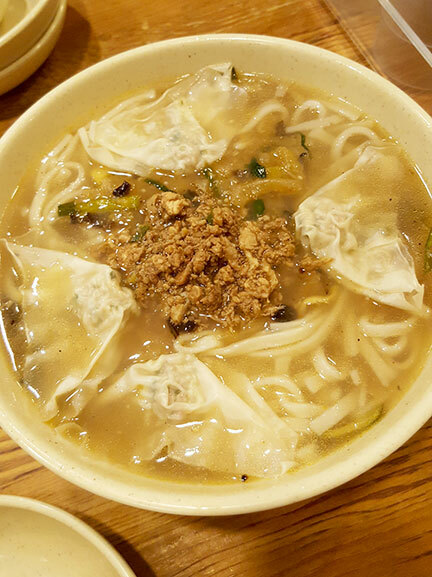 This Korean kalguksu noodle specialty restaurant started out with a different name when it first opened in 1966. It was first called Jangsujang in Jung-gu, Seoul. A few years later, the restaurant moved to Myeongdong in 1970 and changed its name to Myeongdong Kalguksu. Traditional Korean noodles are made using buckwheat. It was only in the late 1950s that flour had become a popular ingredient when food aids were distributed in Korea by the US. It was also around this time that rice was very scarce to feed the country, so noodles became a more staple ingredient in the kitchen. With Myeongdong Kalguksu gaining popularity during this period, smaller noodle shops started using the same name for the noodles they served as well. Its name had become a generic term for cheap noodles, so in 1978 they had changed it into Myeongdong Kyoja. Despite many name changes, the greatest part of this restaurant is that they only serve 4 items on their menu. As a tourist, this makes ordering an easy task. My friend H and I try to order the entire menu but sadly one item is only available in the summer. 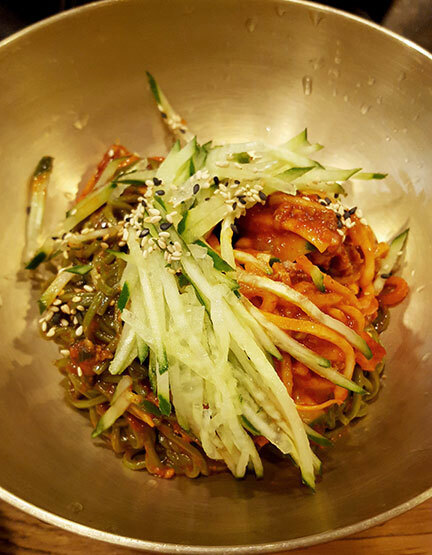 The Bibimguksu is a cold noodle dish tossed in a hot and slightly sour sauce mixed with some sesame oil, topped with some sliced cucumbers. This was a good balance of spice from the sauce and the coolness of the cucumbers but I’d prefer to eat this on a hot, summer day. 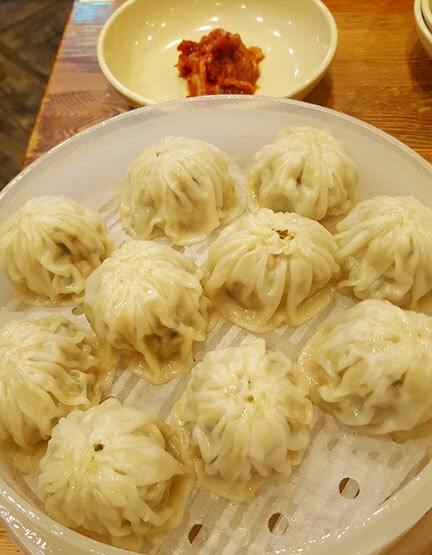 Mandu are hefty steamed dumplings made of fine pork, leek and some vegetables with a hint of sesame oil. The dumplings were very filling; the vinegar and soy sauce dip adds a nice touch. The famous Kalgusku is a warming combination of the paper thin noodles, ground pork and a glorious chicken broth that’s been cooked for hours. It was love at first sip. This was so perfect for the cool weather. To be honest, it’s good to have any day. Although kimchi is a staple in every Korean meal, I just have to make special mention that the kimchi they serve here is exceptionally more garlicky than others. I do regret not trying to take some back home with me. Do ask for seconds.